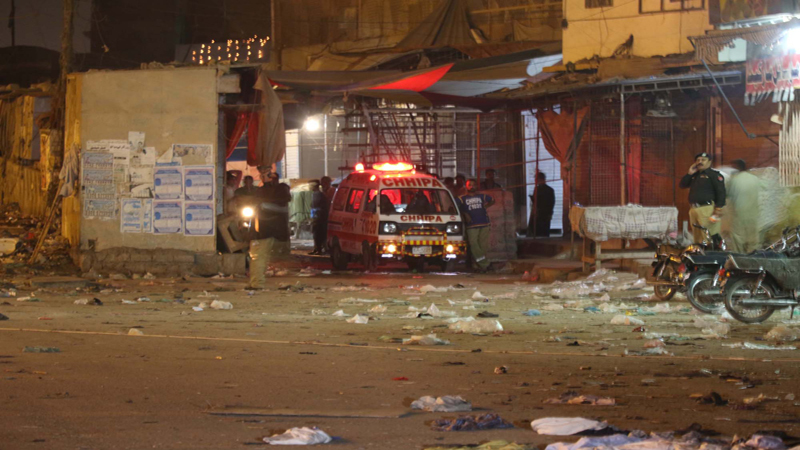 Sindh Chief Minister Murad Ali Shah on Saturday said he could comment on the nature or target of the Quaidabad blast, which claimed two lives and injured 12 others a day earlier, till investigation is complete. At least two people were killed and 12 injured Friday as a powerful explosion hit the Quaidabad area of Karachi. The blast reportedly damaged buildings and triggered panic. “Another explosive device was found from the area after the explosion and was defused,” he added. He termed the attack an attempt to disturb peace and harmony of the metropolis, adding perpetrators would be put behind the bars soon. “We are conducting an investigation into the matter and only when the investigation is complete will we know the intensity, nature and target of the blast. Thus, till investigation is complete we cannot say anything,” Shah asserted. The Sindh chief minister further shared that they have acquired land for a forensic lab. “We are trying to build a lab in Sindh but in the meantime will seek help from other provinces,” he said. Meanwhile, a case was registered against unidentified suspects on Saturday in the Counter-Terrorism Department’s police station in relation to Friday’s explosion in Karachi’s Quaidabad area. According to sources, the case was registered against unidentified culprits under the charges of terrorism, murder and attempted murder. Among the deceased was Pappu son of Mushtaq; while the injured include Rasheed Rafique, Mushtaq Bilal, Haq Nawaz, Siddiq Dawood, Arsalan Tariq, Allah Ditta, Qamar Abbas, Shahabud din, Munir and Shahid.